Neha Dhupia recently got married to beau Angad Bedi. The actress had shocked her fans as well as close friends when she had suddenly made an announcement about her wedding. Neha was snapped at the Mumbai airport on June 29, 2018. 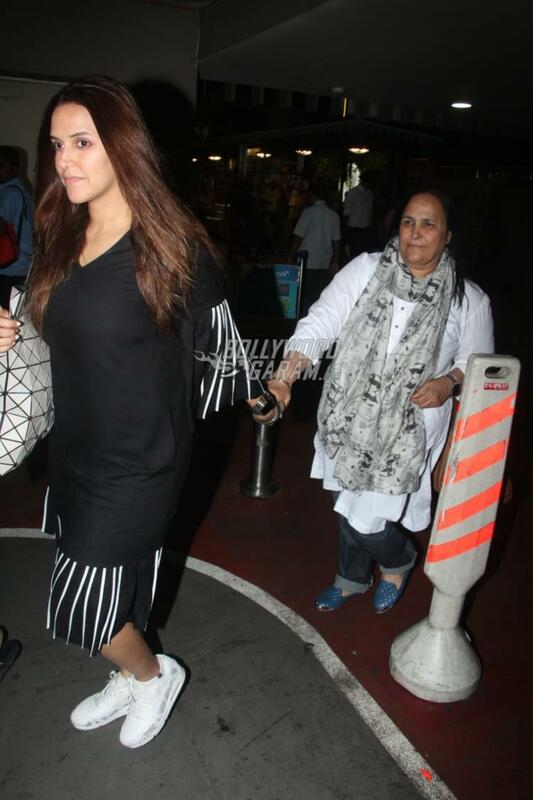 The actress was accompanied by her mother Babli Dhupia. 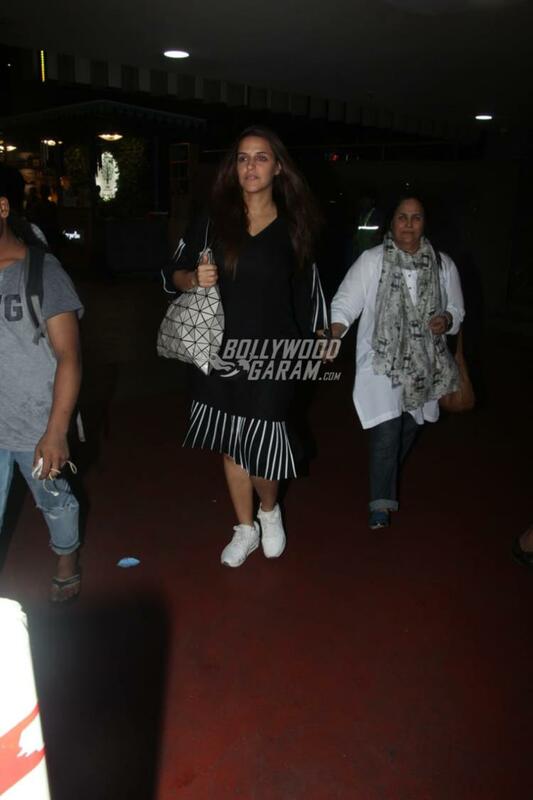 Neha was at her stylish best in a black outfit with white sneakers while mother Babli Dhupia was seen in a white kurta and denims. The actress was all smiles as she made her way out of the airport and held her mother’s hand. Neha and Angad got married in a private wedding ceremony at a Gurudwara on May 10, 2018. Her sudden announcement of her wedding had surprised not just her fans but even some of her close friends from the industry. On the work front, Neha is seen as a gang leader on the popular TV show Roadies and is also the host to the celebrity show BFFs with Vogue. Celebrities like Karan Johar, Shahid Kapoor and others have been guests on her talk show.